Security, automation, and efficiency have levitated to the top of most IT “To Do” lists—but the ability to perform quickly and with agility is driving the newest innovations. The slower, steadier IT solutions are working in hand with new ideas that need to get to market fast. It’s the Age of the Customer, and customers expect swift, customized service. In the spirit of the New Year, Telehouse is taking a look at emerging IT trends this year. These are trends that customers are thinking next about and demonstrate important priorities in 2016. Bimodal IT is the new buzzword for segmenting services into 2 categories, something akin to the tortoise and the hare. One focuses on scalability and maintenance, the second on speed of development. The Bimodal IT model will emerge within IT operations. Group One: focuses on traditional IT methodology, long term solutions and infrastructures, client server systems, legacy solutions. Group Two: focuses on cloud computing, mobility, and has a DevOps team. 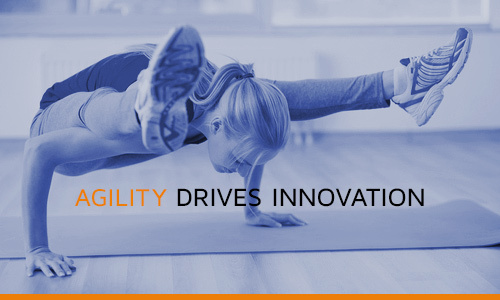 Companies need to be agile to be innovative. Speed to market with less risk is the objective. The benefit is greater agility and alignment between IT and business goals. 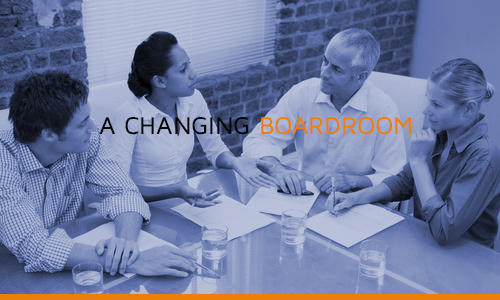 The complexities of the current threat landscape and geo-specific privacy regulations will drive companies to access more C-level talent in the board room. Security is a major priority as data collection grows. The Chief Information Security Officer (CISO) will become an indispensable addition to the CIO team, particularly in Finance and Healthcare sectors. He or she will spearhead programs to keep sensitive data and other company assets safe—saving companies millions in cleanup. The Chief Compliance Officer CCO will have a greater voice in decisions for widely specific regulations that vary from one jurisdiction to another. This especially holds true for global companies. The role of DevOps engineer, a developer who uses software skills to develop applications and bring them live faster, with less risk, will become more in demand. The shift is cultural, as these engineers now collaborate with IT operations on a common goal. The technology industry has evolved organically but the explosion in scale has created a scarcity of talented specialists. 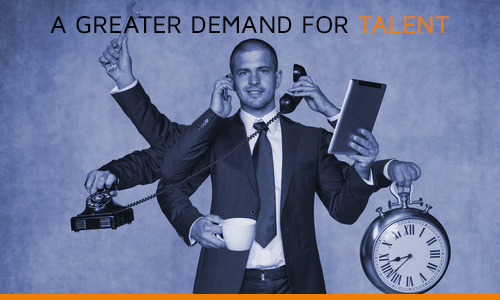 Talent scarcity will drive companies to outsource to specialists as technology, security and applications become more and more complex, and companies rely even more on their use. Some companies will seek to partner with higher education institutions to develop a strong talent pool. Recruitment is high in IT. Business Intelligence and Data Management have become essential tools for individualized customer targeting and service. Good intelligence relies on full data access and expert analysis. Data is worth its weight in gold. Making sure data sets are complete and available to the teams who need it will become essential for meaningful analytics. Global Data Center providers will become a mainstay. Global network access with local privacy proficiencies becomes more crucial as businesses expand. These Data Centers will capture more of the market. Like it or not, both employees and customers conduct business the same way they conduct personal business—through interaction on social media. Risks such as: confidentiality breaches, harassment, defamation, and misrepresentation call for ongoing governance over outward-facing communication channels. Companies will be more vigilant in monitoring employee’s use, creating company policy and in training them in standardized processes. Though it is still in its early stages, the Internet of Things is ramping up to Star Wars magnitude. At this writing only 8% of companies are using IoT. But that will change as our smart devices get even smarter. The expectation is that by 2020 there will be 30M devices attached to the Internet. Even company vehicles will be attached to the Internet. They’ll need to protect sensitive information attached to wearables, home security systems, and payment gateways. CIOs and their teams will need to consider how they’ll build their application stacks for the Category 1 deployment of cross-enterprise devices. Companies continue to move beyond passive protection such as firewalls, to take a more aggressive security posture. Security companies are growing and becoming more sophisticated as data security becomes a growing threat. They’ll rely upon active disciplines like pen testing (short for penetration testing) and 24/7 monitoring to determine vulnerabilities. Training employees will be more prevalent to prevent breaches on individual systems and enhance security posture. Cloud strategies solidify—private versus public cloud deployments. Cloud is being driven by growth and scale in Social Media, Mobility, Applications and Streaming Content. As companies further refine their strategies and roll out private and public cloud deployments, they need to work with third parties or develop strategies in-house. 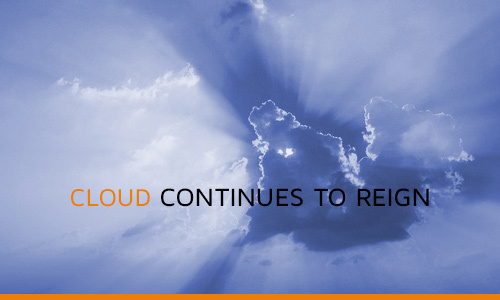 Cloud use is growing faster than any other technology. This is not a huge prediction in regards to emerging IT trends, but we are more and more dependent on it to rule our lives. Now, we are looking for ways to work more efficiently in our connected world. Security is a major privacy issue and the ethics debate rages on. New careers are emerging and some are moving into the C Suite. Talent is scarce. Social Media and marketing have changed the way we talk to our friends and buy things. Data is power, and massive amounts of it are being captured and used to reach us all in the Age of the Customer. Welcome to 2016!